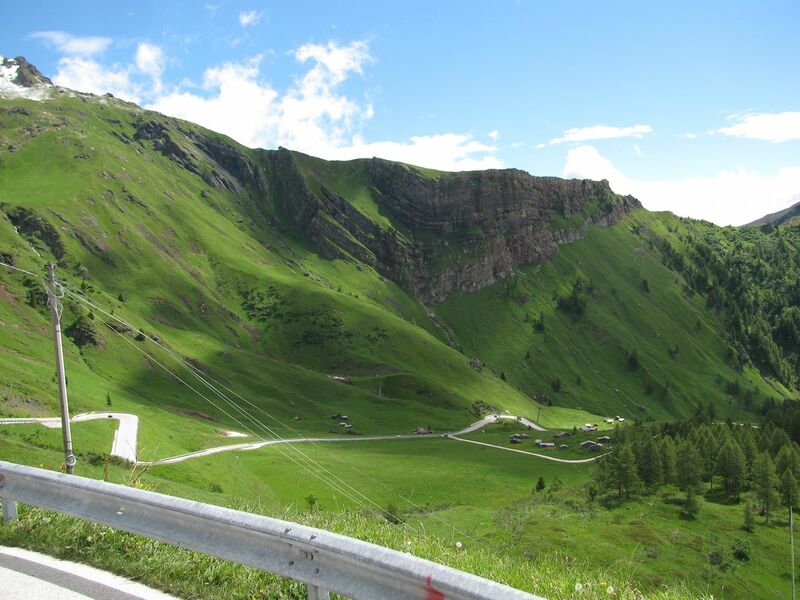 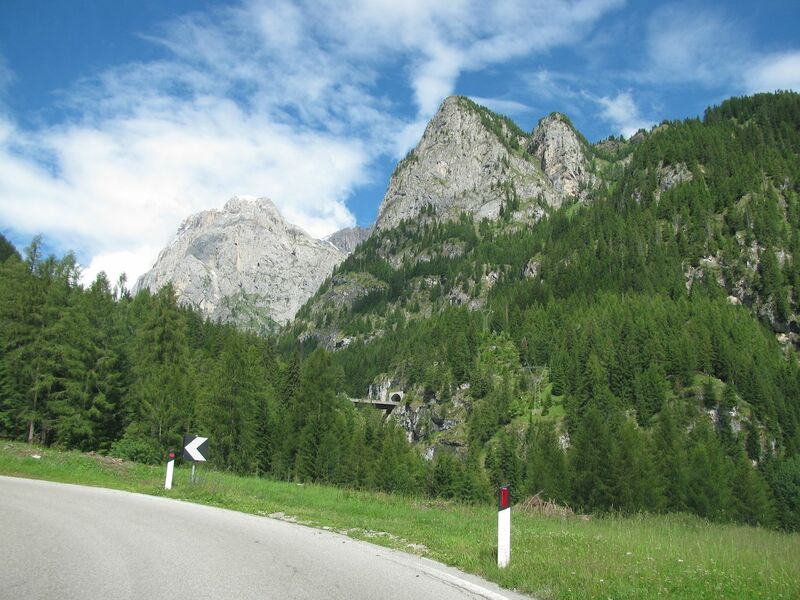 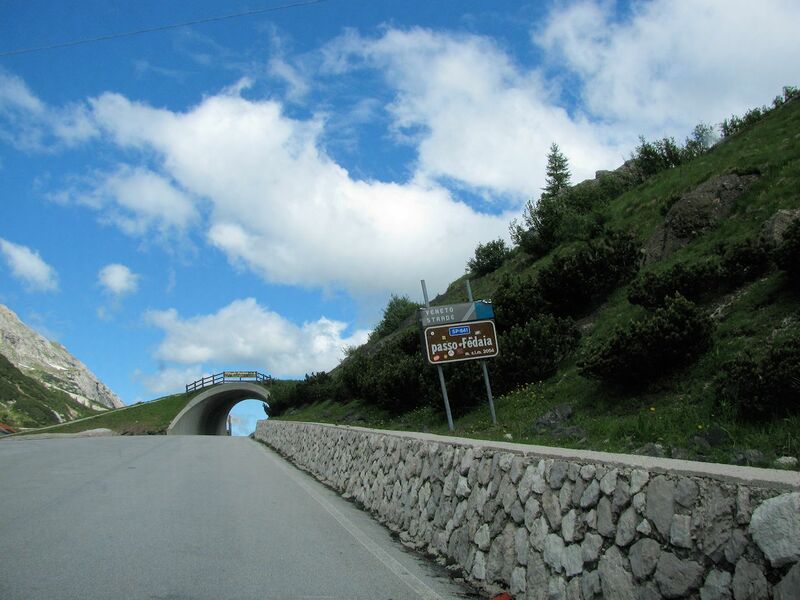 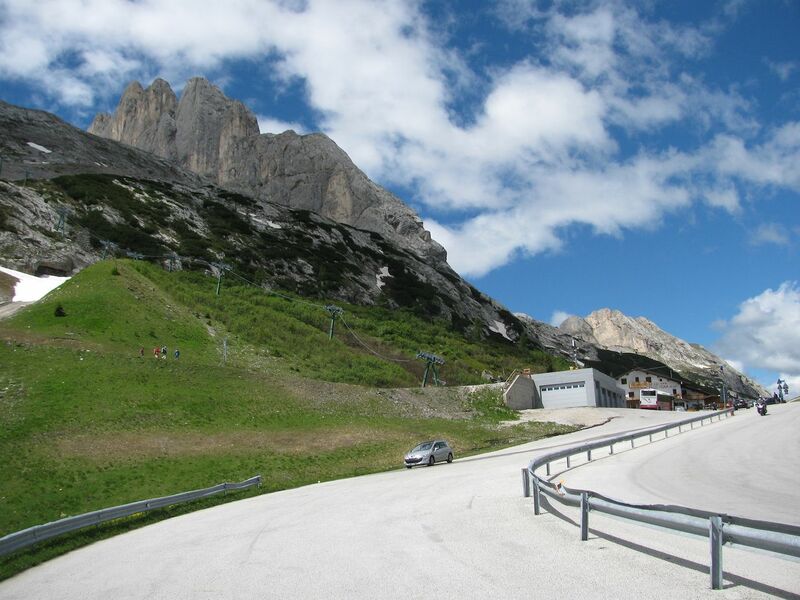 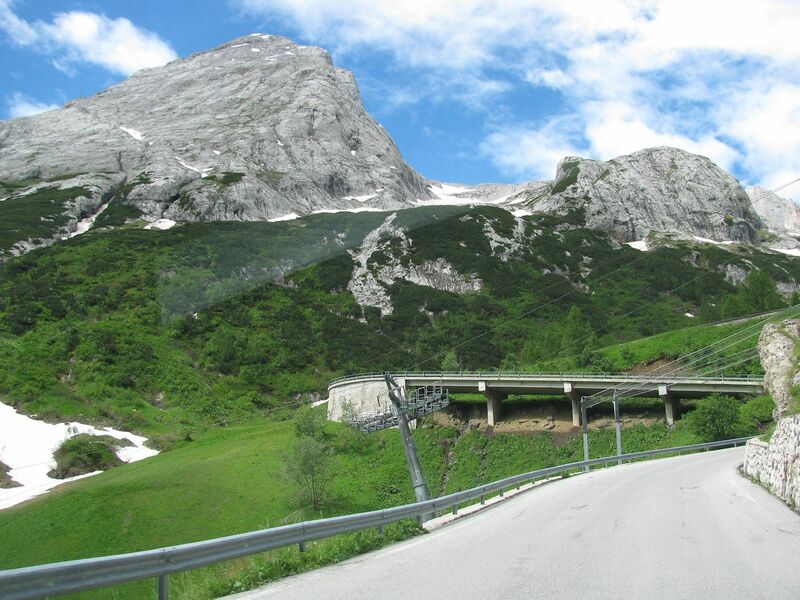 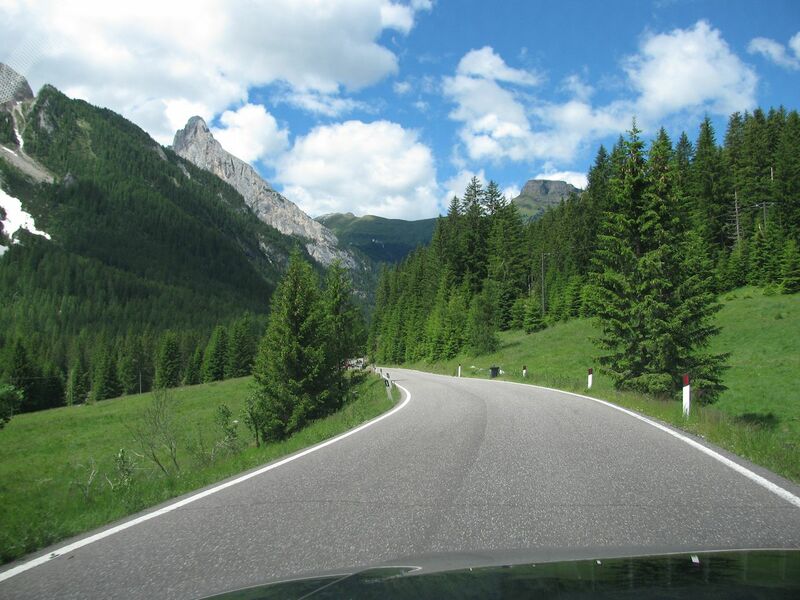 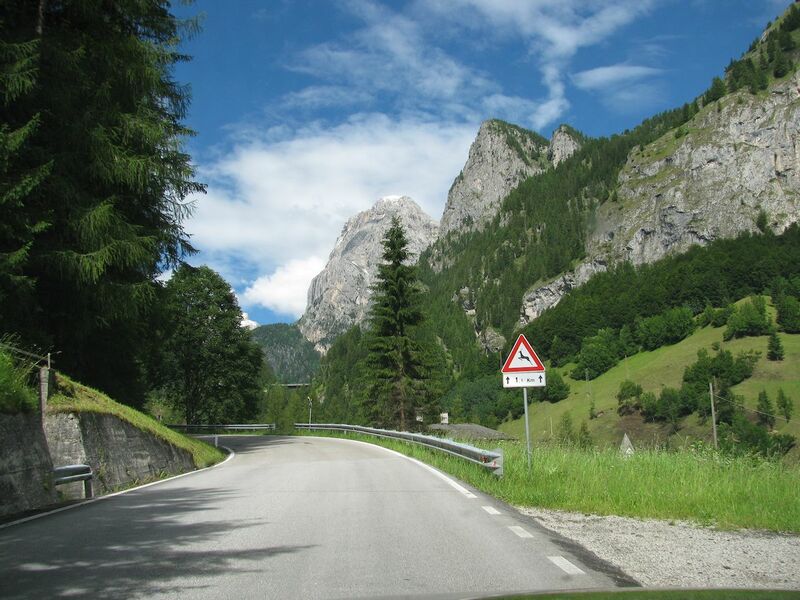 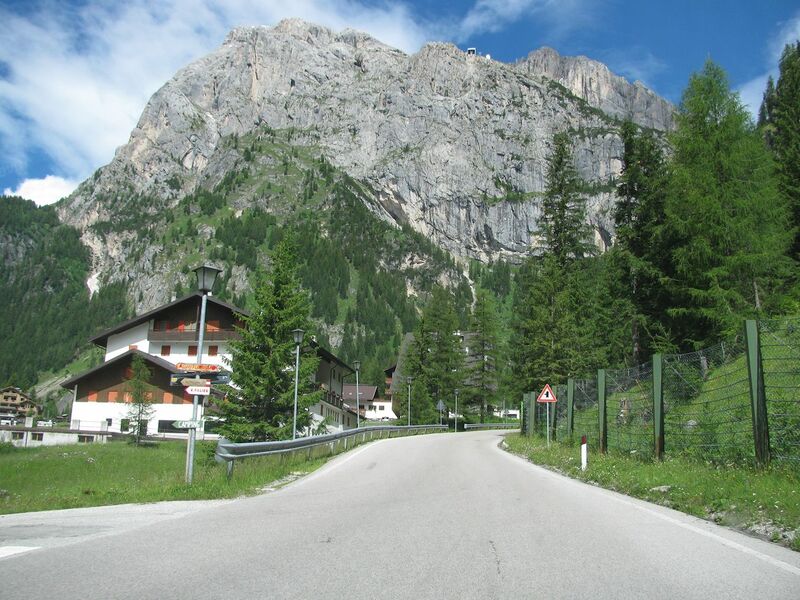 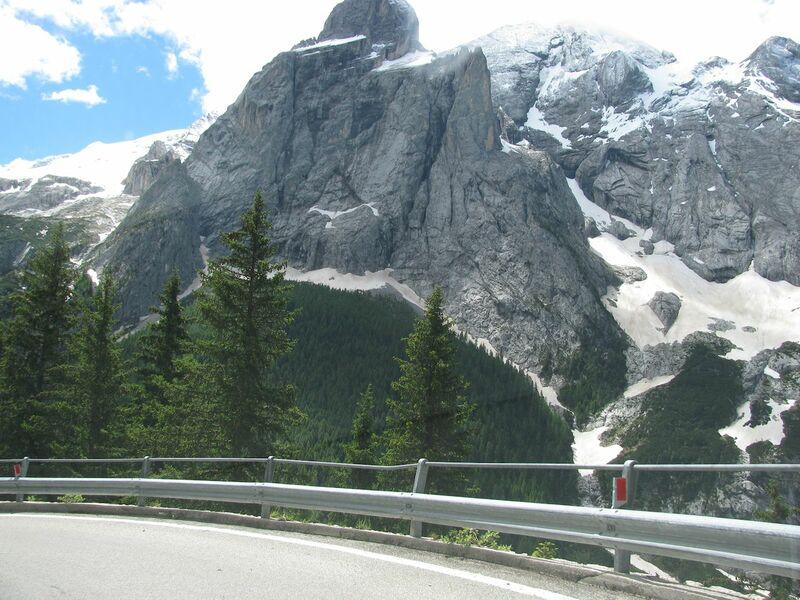 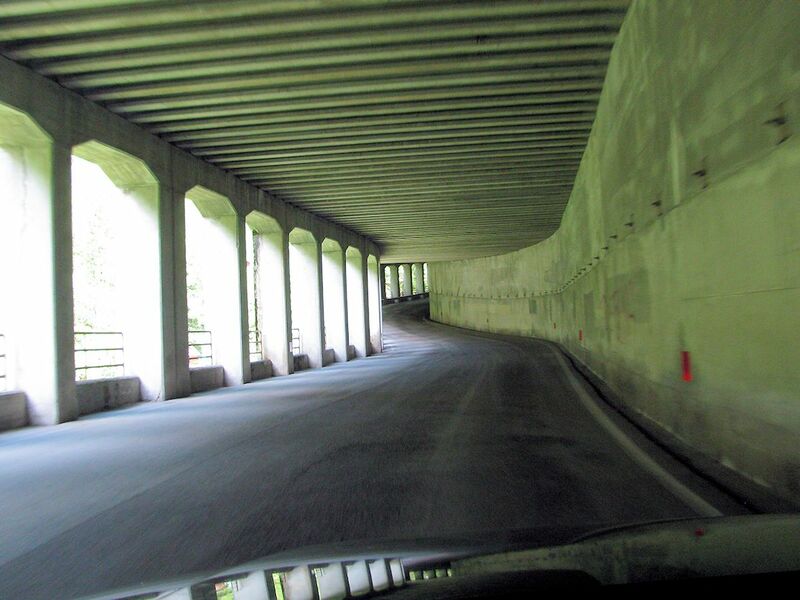 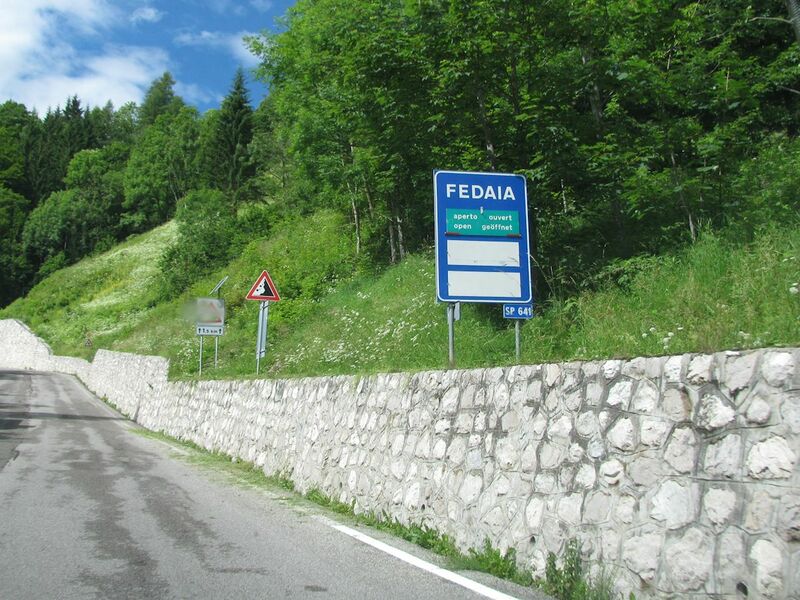 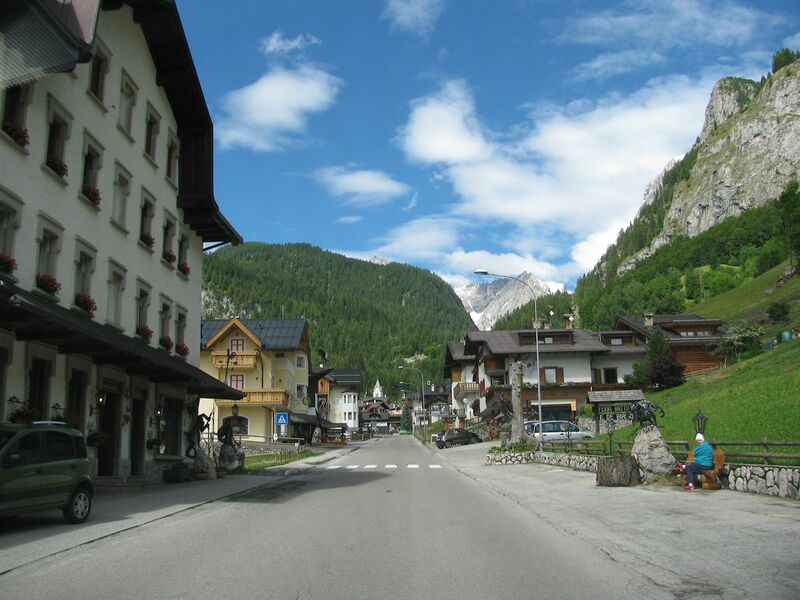 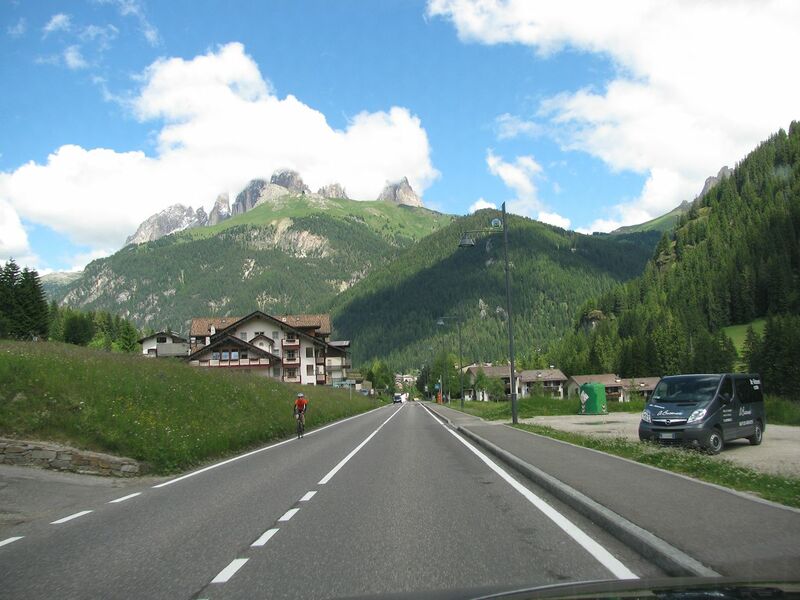 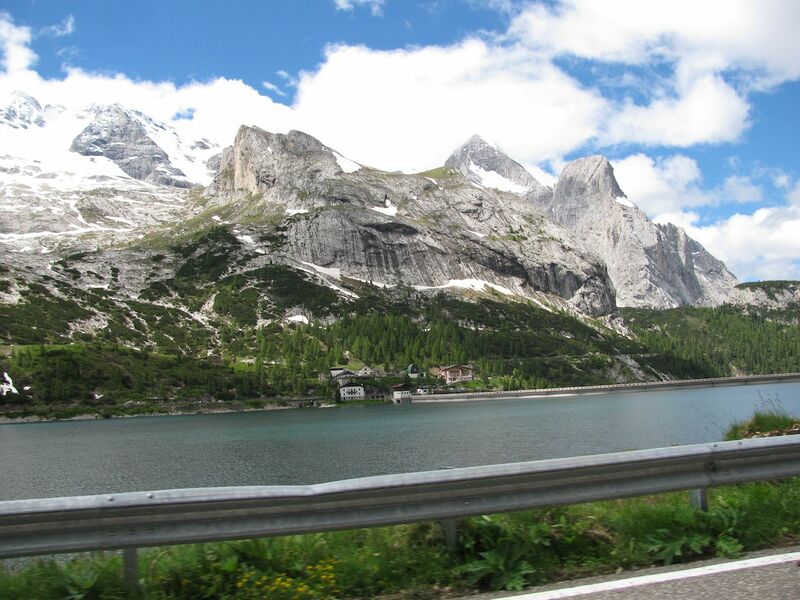 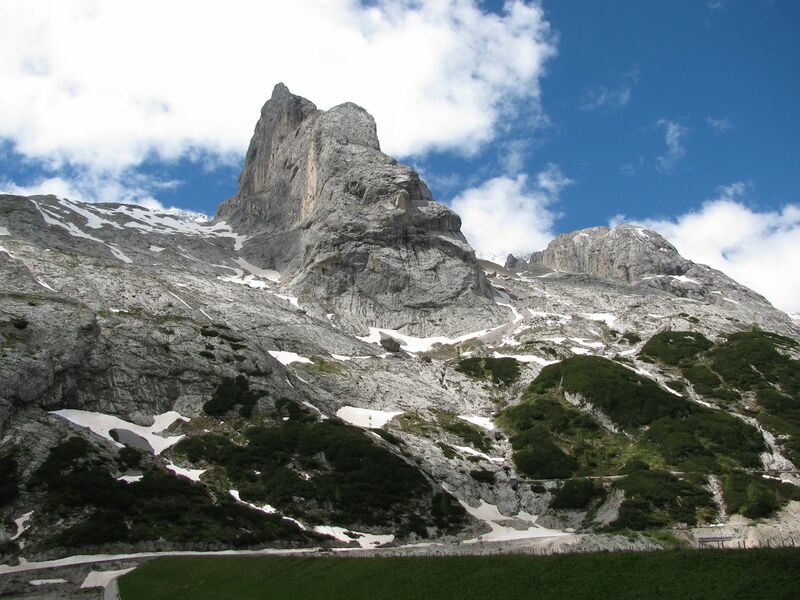 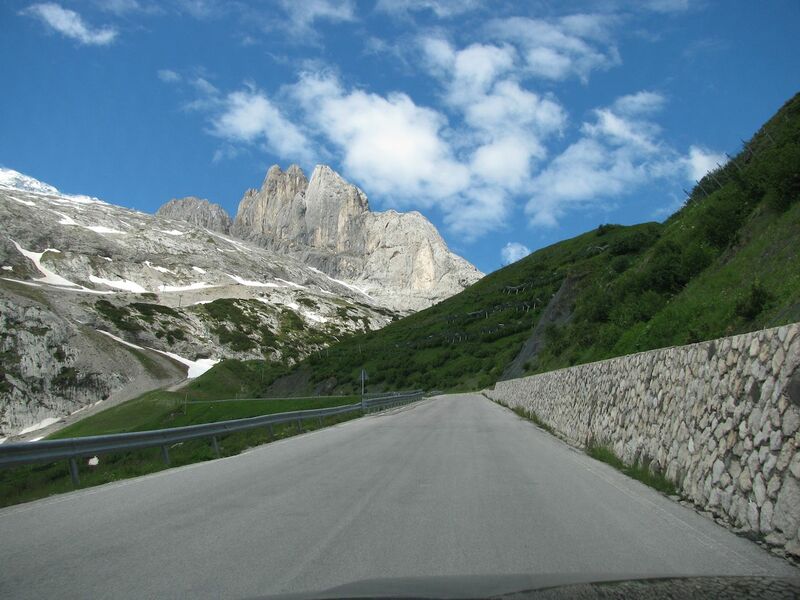 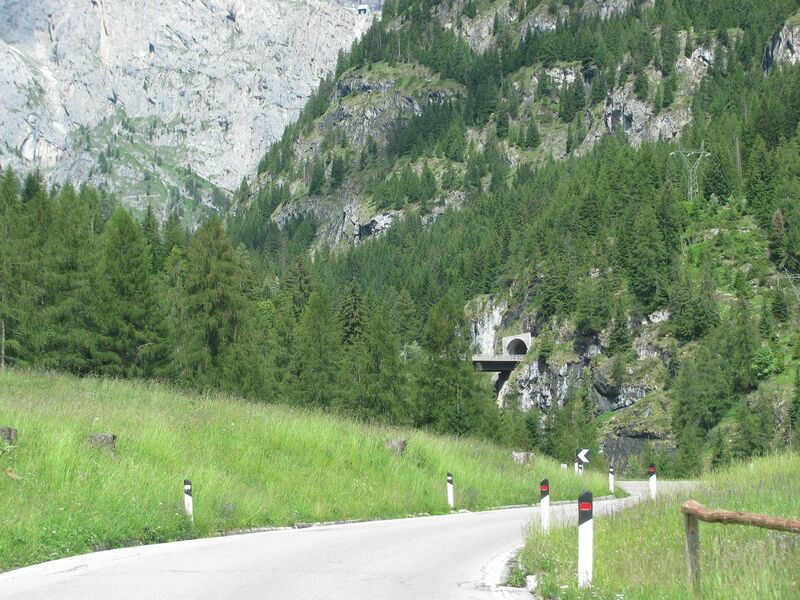 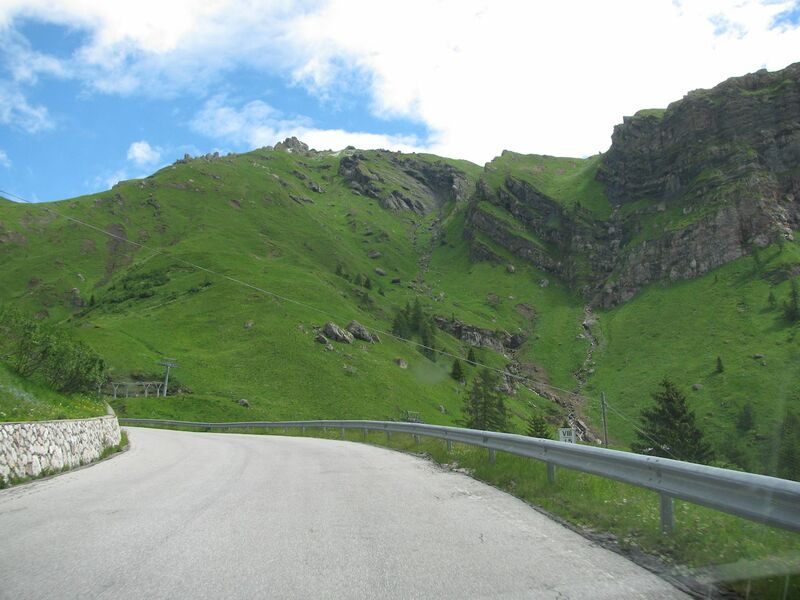 Fedaia Pass, famous for running past the Dolomite’s highest mountain ridge, Marmolada. 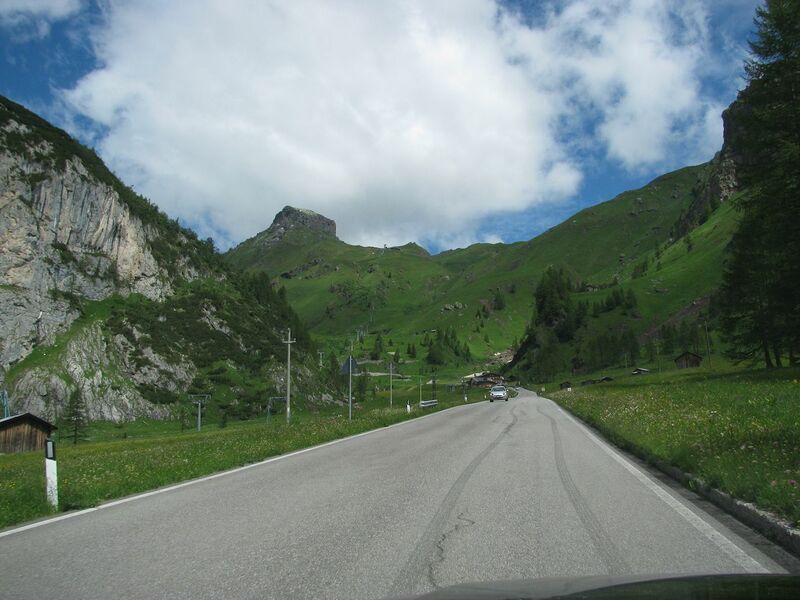 East to west in pictures. 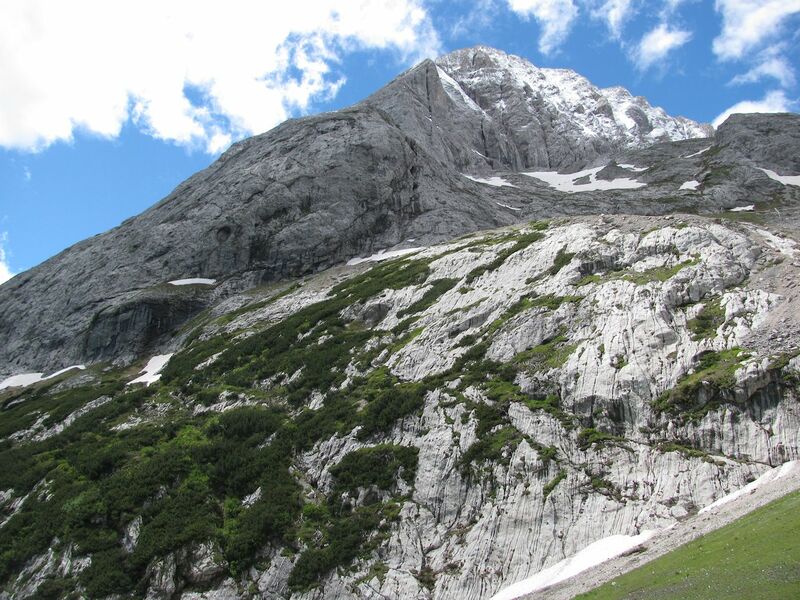 15%, 2054m. 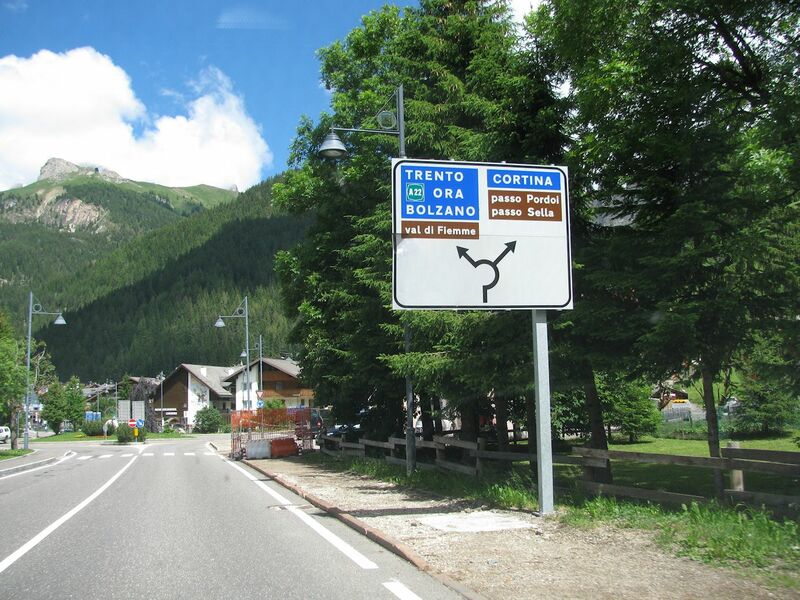 See map below.